Gardening is often thought of as a task only to take place on a large, fenced and open plot of land among beautiful green grass – probably with towering trees in the distance. While this may be a nice dream, many successful gardeners reap their harvest out of containers on an apartment balcony or back deck. If you’re going to utilize containers for your garden – whether it be edible produce or beautiful flowers – you will want to bear in mind some helpful container gardening tips. Many people spring for the plant that’s already in full bloom when they want container plants. This is a mistake, especially if you’re considering transferring your plant from one (probably plastic) pot, to another (probably clay). Why? Plants actually will go into shock when you uproot them and then re-plant them. The more grown they are, the harder this will be on them, the least likely they are to revive as strongly as if they were still in the blooming and growing process. If you’re utilizing containers, this is likely because you don’t have the space or the backyard for a garden. That being said, there is certainly no harm in keeping containers on a porch, deck or patio of some kind. Bear in mind that you will still need to be the sole provider of water and sunshine for this plant. Given the circumstances pertaining location, this may mean going out of your way to provide it. 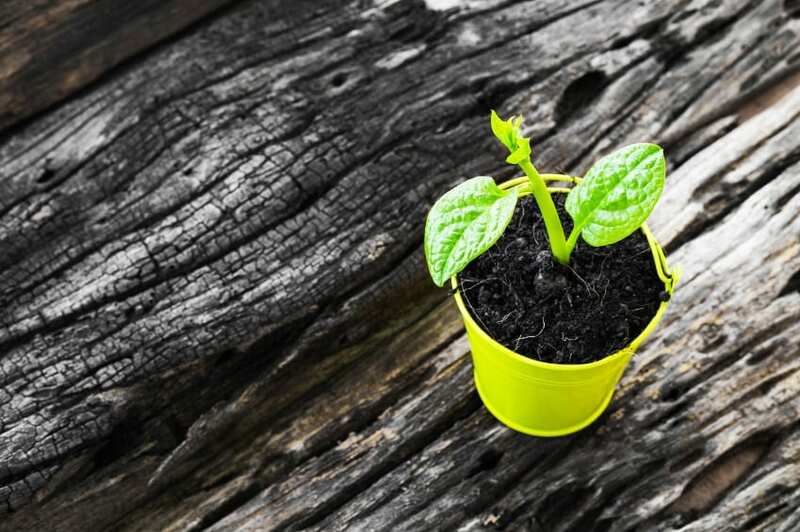 You would be wrong in believing that adding soil to your newly potted plant is a one-time deal. You should keep in mind that plants need a constant intake of fresh nutrients found in soil, and since your plants are potted, the soil needs to be refreshed every two weeks or so. This doesn’t mean uprooting your plant, this simply means piling on a heaping layer of soil on top of your old soil so that new nutrients may find their way to the roots. The temptation is to send your plant through impressive growth spurts by using fertilizer, but you’ll need to fight that urge. While using that strategy to encourage healthy growth is okay once or twice in the life of your plant before it blossoms, do not, under any circumstances, do it more frequently. Why? Fertilizer will cause your plant to grow faster than you can nurture it with water and nutrients. This will, in turn, cause the plant to burn up; you’ll see it happen first on the leaves as they turn brown and droopy. It’s almost like your plant is – quite literally – burnt out! If your container pot is on your deck, place a couple bricks underneath it, and poke 3-4 holes in the bottom of each. Proper drainage is vital to the life of your plant and elevating the pot is vital to ensuring a thriving plant. Wooden decks, especially, will become water logged and rotted over time without this elevation, so make sure you place a container underneath these bricks as well. Container gardening is perhaps one of the most effective and efficient ways to garden, but you must do it correctly. Start with a seedling, don’t neglect the necessities, add soil over time, avoid excessive fertilizer, and allow proper drainage. You will see just how easy it can be.